Home	> 13. TORAH OHR. FIRST EDITION, BOLOGNA 1538. 13. TORAH OHR. FIRST EDITION, BOLOGNA 1538. Fundamental work concerning the afterlife authored by R. Don Yosef Ibn Yichya. 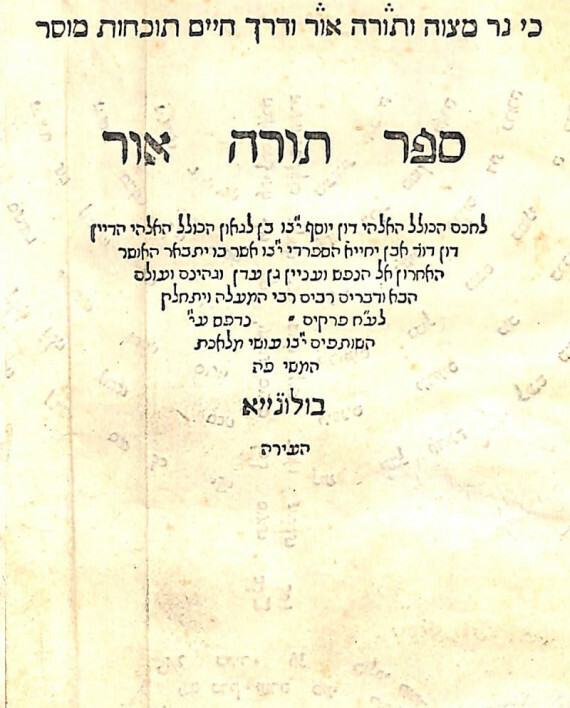 Divided into 78 chapters, the author draws primarily on the Agaddic sections of the Talmud. Title page larger than rest of book and folded on margins. 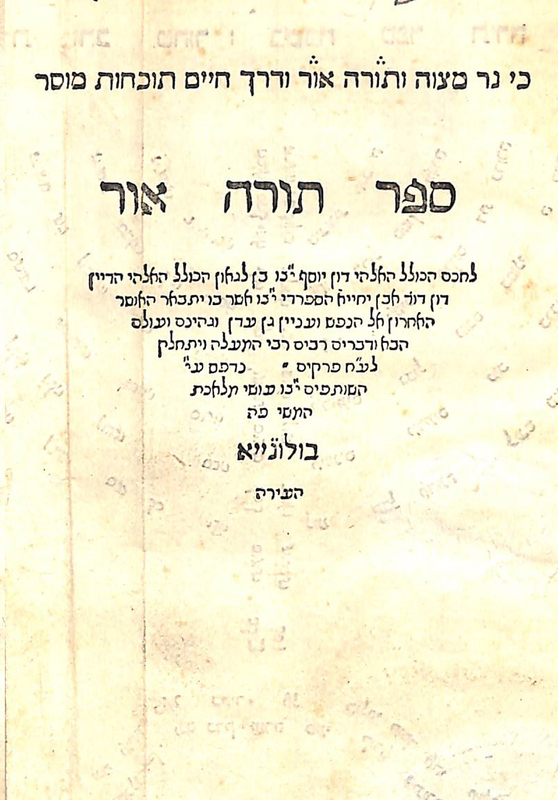 On reverse side, prose printed in the shape of a Menorah entitled “Pure gold Menorah, in praise of Sefer Torah Ohr”. With dramatic introduction concerning the details of the author’s parents escape from Portugal. Vinograd Bologna 13. Silk craftsmen partners press. 36 pages 17cm. Overall fine condition, some staining and minor worming not affecting text. Title page slightly detached. Modern binding.